Dir. Park Chan-wook, South Korea, 2017. 114 mins. South Korean director Park Chan-Wook film is “inspired by” Sarah Waters; novel Fingersmith. 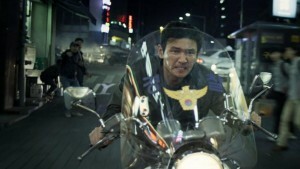 ‘Inspiration’ is the watchword here as he transports Dickensian London into 1930s Korea. The basic premise of the story is the same and actually by paring down the convoluted elements of the original work, the film is a much stronger, tighter package. However Waters ideas’ are central to the development of the plot and the moments and encounters that are picked out are what make this so special. 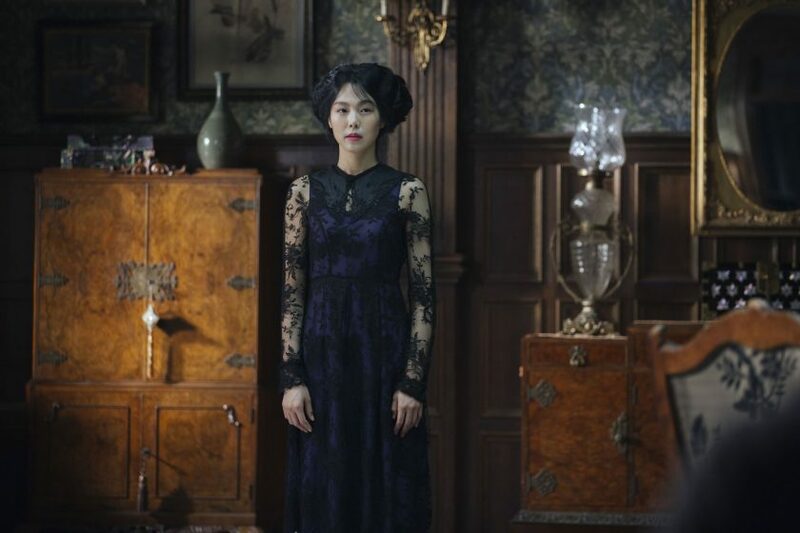 The Handmaiden is a long con. In an explanation of the plan which establishes the initial flow of the narrative, its revealed that ‘Gentleman’ (Jung-woo Ha) will pose as a Count in order to swindle the Lady Hideko (Min-hee Kim) out of the fortune she is to inherit upon her marriage. To aid him he will send Sook-Hee (Tae-ri Kim) to be Lady Hideko’s new handmaiden so as to persuade her to marry the Count as her confidante. The triangular relationship creates the structure of Park’s vision. It’s a triptych, the first panel from Sook-Hee’s perspective, the second from Lady Hideko and the third an amalgam which includes the exciting flourish of a finale. The oriental setting is as immaculate as Lady Hideko’s expensive clothing and the acting performances are extremely adept as each character’s allegiances shift and all is not what it seems. The real story behind the swindle is the play of passions between Sook-Hee and Lady Hideko. The two grow closer than the ‘Count’ or Sook-Hee could ever have imagined with the most obvious example being the sexual experience they share which while explicit, is not a cheap attention-grab, but a completely seamless playing out of events. Another sumptuous scene involves Sook-Hee filing down a sharp tooth while Lady Hideko bathes. The physical intimacy simmers as the unspoken emotions start to ripple to the surface. Added to the strong interpersonal relationships come the satellite themes. The mysterious Uncle to Lady Hideko is a twisted taskmaster who manipulates her through his position of power. She has every reason to want to escape. Then there is the gentleman’s class that the ‘Count’ aspires to. He of course sees Hideko as his ticket into this world. All of these form part of the story without ever hindering the concentration on the three protagonists making it a rich and detailed world. Some of the darker elements push one’s ability not to look away. It might be argued it loses it’s focus with these perversions but it could go either way. In such an intense film much of it is not out of place even if it defies good taste. For a film coming in at nearly two and a half hours, with subtitles, it is no slog. In fact, watching it a second time – after having read the book – was an extremely enjoyable experience. The sly humour of the con and by knowing what is to come brings out how funny, manipulative and intricate a film it is. The shocks of the first-watch are lost of course, but much is gained when you can look for the little clues and touches that fill this film. Go the first time to be enthralled and surprised, then go again to appreciate the knowing glances and the anticipation of the next twist.